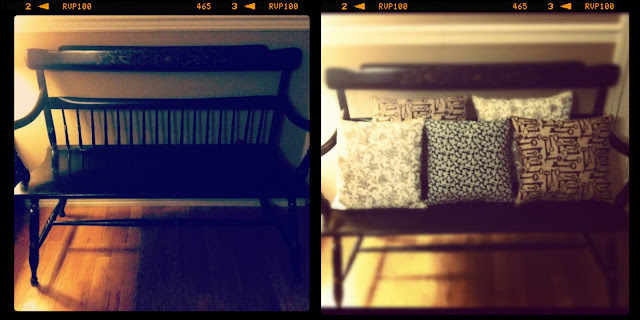 so I sewed all of these pillow slipcovers all by myself in one afternoon! All of the doorknobs in our house were an ugly brass color. Not my taste in the slightest. 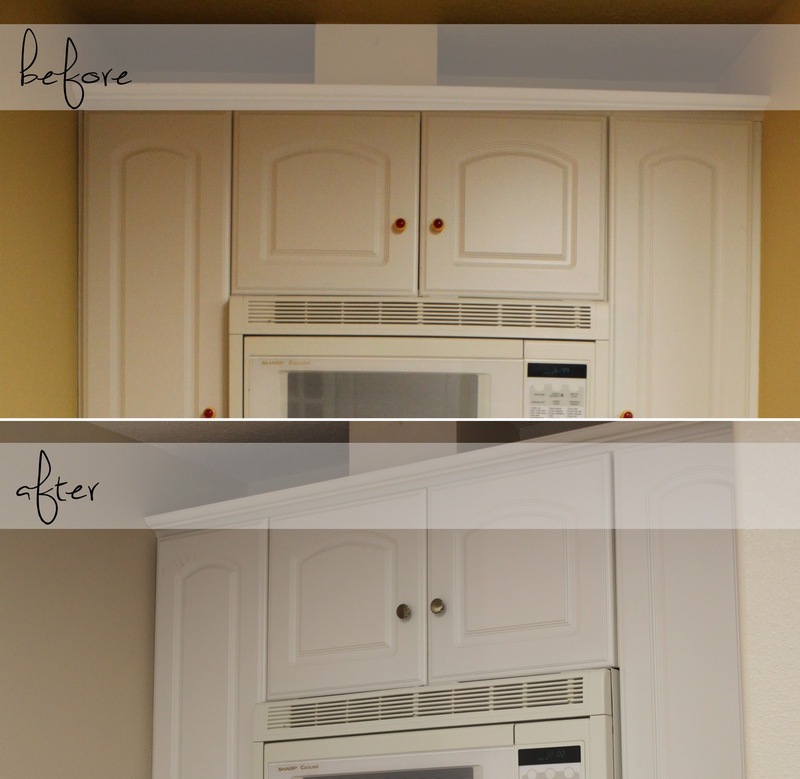 We looked into replacing them all in a darker color, but it would've cost over $300! Instead I did some research & found that you can spray them in any color you want! 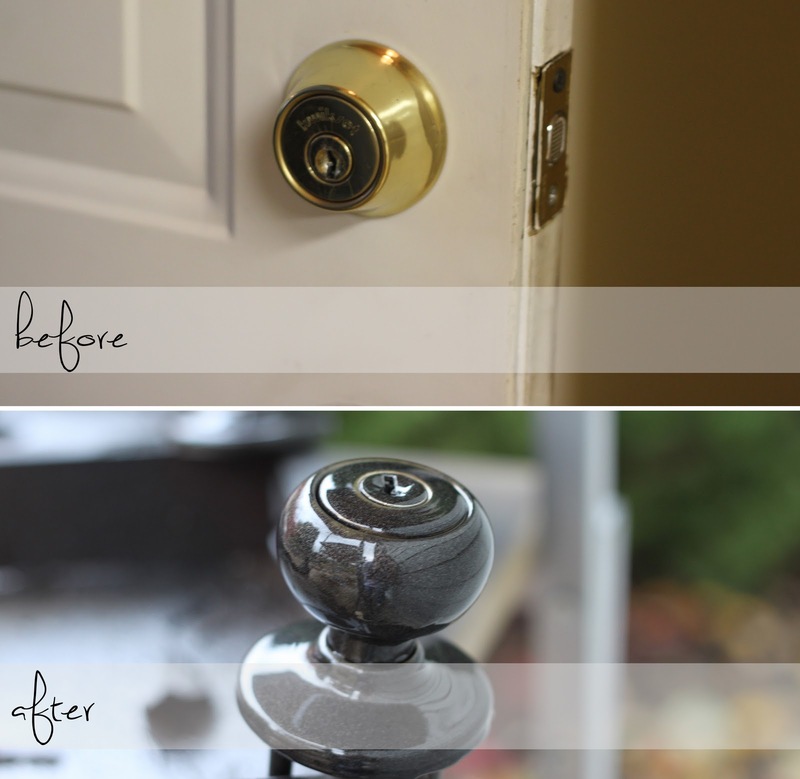 I used Rust-Oleum in Oil Rubbed Bronze & only needed two cans for all the knobs in the entire house (18+ knobs). I think I paid a total of $12.00 for this project! One of the spare bedrooms that is our guest room/my closet/dressing room, was painted a red-cayenne color (it's kinda hard to tell from the photo above). 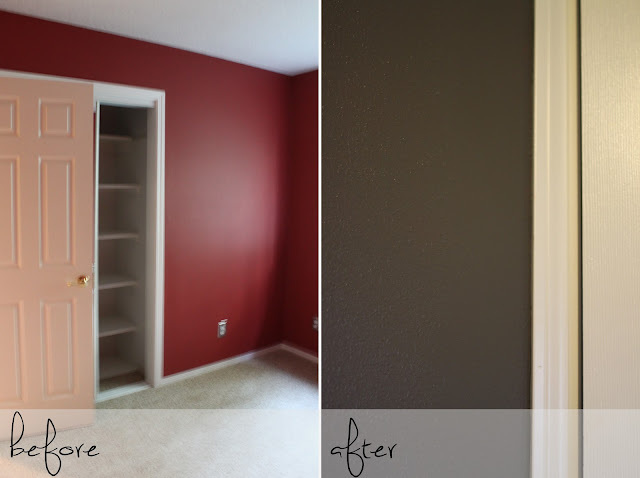 We don't own a single thing that goes with this color, so I ended up painting this room in Behr's Dark Granite. The above & below pictures are in our kitchen & short hallway to the laundry room from the kitchen. 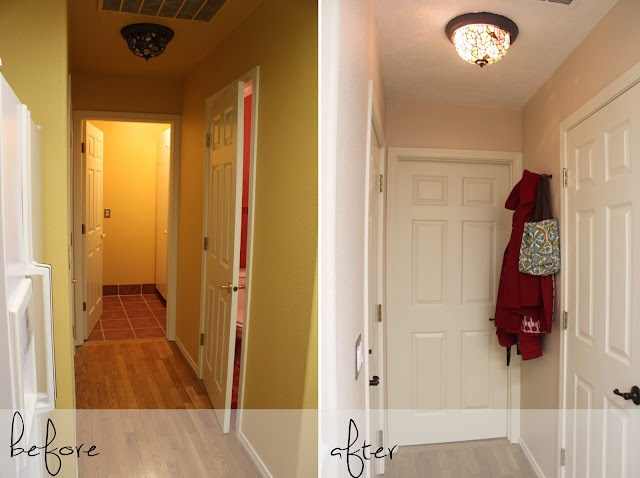 The entire area (plus the dining room) were painted canary yellow (again, kinda hard to tell from the photo). This color freakin clashed with everything!! 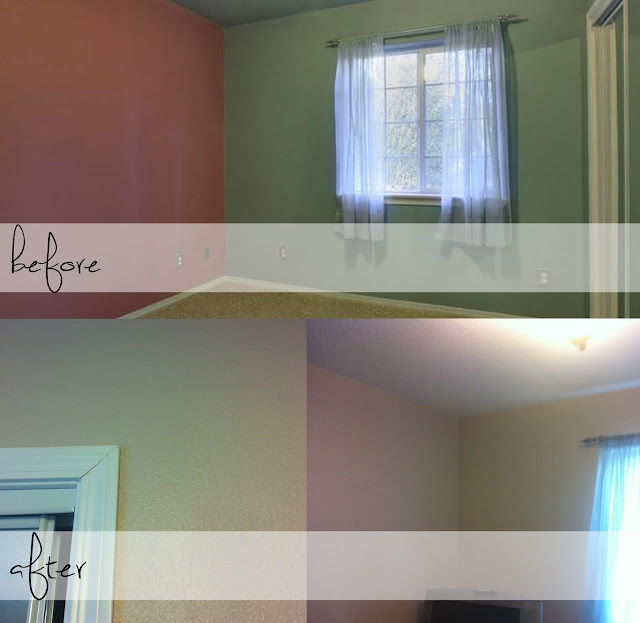 We painted the ceilings white & painted the walls in Behr's Natural Almond. We're so happy with how it turned out! Our kitchen & dining room no longer look dull & dingy, it now looks fresh & clean :) It's amazing what a difference a neutral color can make. it's the little things that make such a big difference. the house looks great! and i love your fabric choices for the pillows. cute, cute, cute. I can totally relate to that very last line-- that it takes longer to put your house together than you had originally planned. We bought our house a year and a half ago and it was move in ready as well. All of the walls were white and we've only just gotten to painting the second floor! Plus all of the other things we wanted to change to our tastes that we haven't even gotten to! Your transformation so far looks great! Looking forward to seeing the rest of it! It's looking good! We have been in our house almost four years and we are just getting around to the "second" round of projects. It takes for ever and then when you are done- there is always more. Just make sure in between you take time to enjoy it! It does take a lot of time to decorate that's for sure. I have been in my house for almost 2 years and still have tons to do. OMG!! GREAT job!! I love all the changes (especially the paint)!